Considering all the political unrest and the economy inflating up like a balloon, things are getting more expensive. Everything from luxuries to necessities which means, food, water, electricity, and games are going to go up in price. To make matters worse, the Philippine Peso (PHP) is losing out to the US Dollar (USD) at PHP 53.48 = 1 USD. For those who need a quick economy lesson, this means that you need to pay around 50 pesos just to buy something that is usually only a dollar in the United States. And that’s the horrible part especially for buying games. Games are often published in the United States, making the currency appear in USD. Because the currency is in USD, the game can come out more expensive than it should be. What US gamers see as cheap at $1, Pinoy gamers will see it at PHP 50.00++. This would definitely drop the rates of some video games especially those who have micro-transactions within the game. Games that are heavily affected by this are usually the mobile games. Mobile games have a lot of micro-transactions especially those with a Gacha (Lucky Draw) system such as Fate/Grand Order, Fire Emblem Heroes, Gran Blue Fantasy and, etc. Because of this, demand for games may shift. But the shift may not be entirely bad especially for some Indie Game Publishers. There are pros and cons to the swing of the economy. Unlike the big publishing companies, indie game developers don’t have that grand access to the market as easily as bigger companies. Because of this, most of their income and profit will come in from the local games. Because of that, most games may probably earn more locally than internationally since people would want to avoid the currency exchange. With the weakening of the peso, Pinoy gamers may turn to indie games especially during this 2018 as a means to save money and also to feed their desire for gaming. This is more of an indirect effect in which gamers may pay attention more to the quality of the game. 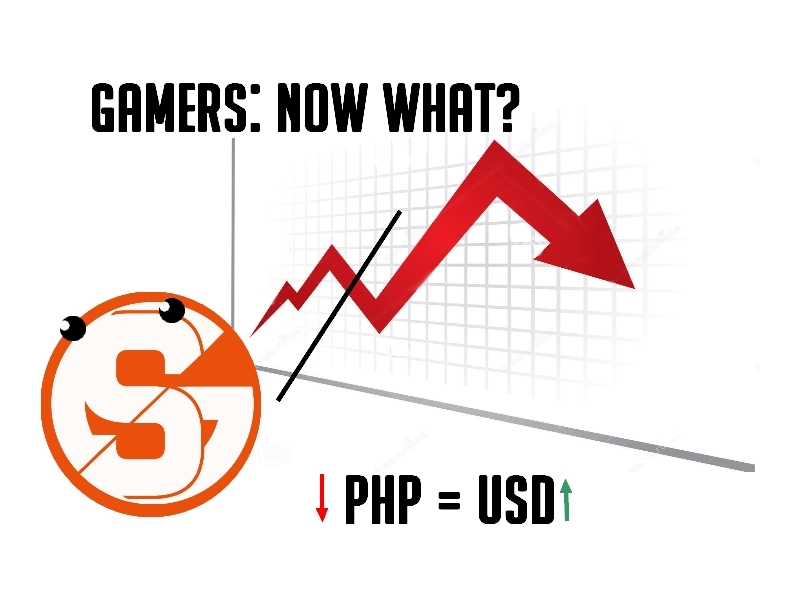 Since the exchange rate has still been fluctuating, gamers often don’t buy off the bat. And because of Youtube and Steam, gamers can check the trailers if they’re any good. This is also in correlation to the first point for local indie game developers. Because they don’t have big a brand to work with and they’re just entering the market, majority of the indie games may have better quality than those from the big companies. The only reason why some gamers stay within a certain set of games is because of the brand. For example, since Capcom has released a lot of good games as of late including the recent Monster Hunter World which soon be available on Steam, people will still be willing to buy Capcom games. Also, there was the package debut of the Devil May Cry games which people would go to especially after another Devil May Cry game was made and it flopped in the market considerably. They are also building a new hype for Devil May Cry 5 which appears to recreated Nero’s character. Now, you’re probably wondering: with the market fluctuating like this, what’s the worse that can happen? The worse that can happen probably would be from the bigger companies being forced to downsize. Why? Because of the long run effect of the weakening peso, Pinoy Gamers may find themselves buying more the local games or games that are locally available in comparison to the games that are available only outside. The demand for the outside games may drop especially when it comes to games with micro-transactions.